La flotte SNMCMG1 remonte le Kiel canal. Ils arrivent à l'écluse de Kiel. Cela n’est pas prévu au programme. Peut être suite au décès des hautes personnalités Polonaises. Le M915 ASTER dans le canal de Kiel, le 8 avril. NATO’s Mine Countermeasures Group 1 (SNMCMG1) took part in Exercise Brilliant Mariner 2010. The Group comprised 13 ships and 3 land Explosive Ordnance Disposal(EOD) Teams, representing 10 NATO countries and 1 Partnership for Peace country. Units conducted Mine Hunting, Mine Sweeping, Countermining Exercises, Asymmetric Exercises as well as contributing to the Recognised Maritime Picture. During the exercise SNMCMG1 was certificated for her role within the NRF 15 organisation. Sailors from Belgium, Croatia, Denmark, France, Germany, Great Britain, The Netherlands, Norway, Poland, Sweden and the USA conducted two huge MCM exercises. 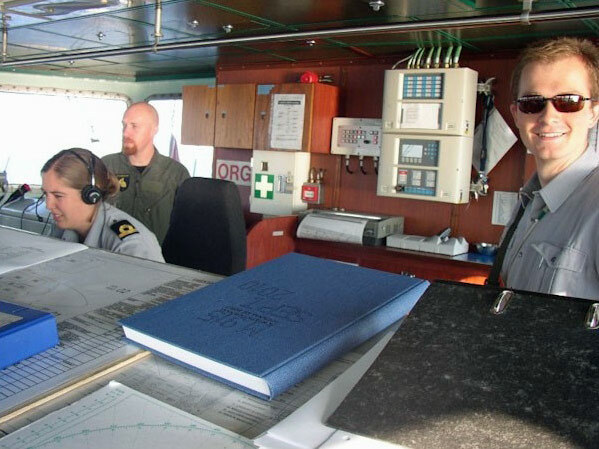 The first was an Historical Ordnance Disposal Operations (HOD Ops) between 12 - 17 April 2010 and the second was an Exploratory Operation clearing the approaches to and port of Frederikshavn between 18 - 22 April 2010. During the exercises all units had to defend against both air and surface attacks. HOD Ops proved that all units are well-prepared for the MCM task ahead. During this phase 28 of the 30 exercise mines laid were found by the MCMV’s. Brilliant Mariner 2010 also proved that MCMVs are always ready to conduct real operations. During the second part of the exercise, the Danish minehunter HMDS MAKRELEN found and identified a live mine which was a remnant from WWII. The mine was reported to Danish authorities and will be destroyed making the sea a safer place. In addition, HMDS MAKRELEN also participated in a search and rescue operation, rescuing three crew members from a fishing boat. They were later disembarked at Ebeltoft. The Dive Support Ship, FGS ROTTWEIL, joined SNMCMG1 alongside in Aalborg, Denmark, on Sunday 25 April 2010 and is now the fifth unit in the Group. She replaces the German minehunter, FGS PASSAU who left the Group on Thursday 22 April 2010 and proceeded back to her home port of Kiel. FGS Rottweil will remain with SNMCMG1 for 8 months. SNMCMG1 continues with their busy programme, which sees them participating in Beneficial Cooperation 2010 at the beginning of May 2010. This will be FGS ROTTWEIL’s first operation as part of the Group. After a busy few weeks a port visit to Aalborg, Denmark, gave NATO’s Standing Mine Countermeasures Group 1 (SNMCMG1) an opportunity to rest and to open the ships to members of the public. The Group visited Aalborg 23 – 26 April 2010. The Group entered Aalborg harbour at 0900 local, Friday 23 April 2010. The Command Ship ORP Kontradmiral Xawery CZERNICKI the first unit to berth, followed by MCMV’s HMS WALNEY, BNS ASTER and HNLMS MIDDELBURG. On behalf of COMSNMCMG1, the Principal Staff Officer, Lieutenant Commander Prideaux McLeod Hattle (RN) called on the Garrison Commander, King Christian IV Guild, Deputy Mayor of Aalborg and Aalborg Naval Association. SNMCMG1 sailors also had an opportunity to participate in the Mayors reception, held in the Old Town Hall, visit the Aalborg Maritime Museum and meet with members of the Aalborg Naval Association. SNMCMG1 conducted a Ship Open to Visitors day 24 April 10, allowing members of the public to visit the Minehunters and the Flag Ship, seeing the ships and their equipment at first hand. The day also allowed the public to meet and talk with a number of sailors who explained what life at sea was like. In total, 670 people visited SNMCMG1 units through the day.All ships departed Aalborg at 10.00am on Monday 26 April and commenced their transit to Den Helder, the Netherlands, where SNMCMG1 will prepare for their involvement in Beneficial Cooperation 2010. For the Group, this will be the second time this year that they have conducted Historical Ordnance Disposal Operations in the vicinity of the Netherlands and Belgium coast, contributing to make the sea a safer place. Historic Ordnance exercise a success. explosive ordnance (UXOs) remaining from WWII, further reducing the risk from unexploded bombs and mines the North Sea. ordnance. The operation proved to be extremely demanding for the ships and their crew, with the weather conditions unfavourable for the most part – at times, the waves were over 2 metres high. Additionally, divers were limited by the tidal windows, which in some instances only presented a 2 hour period, 3 times per day, when conditions were within the acceptable and safe limits for diving operations. Despite this units managed to achieve a very successful result by the end of the operation. 1 torpedo and 5 aircraft bombs were destroyed. During the operation, SNMCMG1 also bid the minehunter, HNLMS MIDDELBURG, farewell. Having completed her assignment to SNMCMG1 on the last day of the operation; she left to return to her home port. HNLMS MIDDELBURG spent over 3 months in the Group participating in all operations and exercises together with the other assigned MCMV’s. COMSNMCMG1, Cdr Krzysztof Rybak, personally thanked the crew of HNLMS MIDDELBURG for their dedication, support and professionalism, wishing all; fair winds and following seas. A media day was conducted onboard two of NATO’s Mine Countermeasures Group 1 (SNMCMG1) units; the Flagship ORP Kontradmiral Xawery CZERNICKI and the minehunter HNLMS MIDDELBURG, on Tuesday 11th May 2010. It was organized during exercise “Beneficial Cooperation 2010” when SNMCMG1 units were conducting live ordnance disposal operations. The event provided an opportunity to experience a day in the life of a minehunter. The journalists were picked up from Vlissingen harbour and during the transfer journey Commander SNMCMG1, Cdr Krzysztof Rybak gave a short presentation on the history and core business of the Group SNMCMG1 to the press representatives. They were also able to tour the Flag Ship, learning about her facilities and capabilities. The journalists were transferred to HNLMS MIDDELBURG around midday for the mine disposal demonstration and witnessed a spectacular explosion, greatly impressing all. The day was a huge success and enabled SNMCMG1 to increase the awareness of the work that the Group does in making the sea safer for all users. Ce ne serait pas l'ami "Fred Blaise" avec les lunettes de soleil ? L'Aster et le Primula sont partis lundi 20 septembre pour presque 2 semaines. Ils naviguent vers Dartmouth pour une stage de plongée. Ils reviennent vendredi 1 octobre. De Aster en de Primula zijn gisteren 20 september vertrokken voor bijna 2 weken. Ze varen richting Dartmouth voor een duikstage. Hun terugkomst is voorzien op 1 oktober.